My local Waitrose is selling (in March) Coca Cola cans with Father Christmas on them. They aren’t reduced in price either, and although they may be in date in terms of ‘Sell By’ it doesn’t give me hope of finding anything new in the drinks aisle. 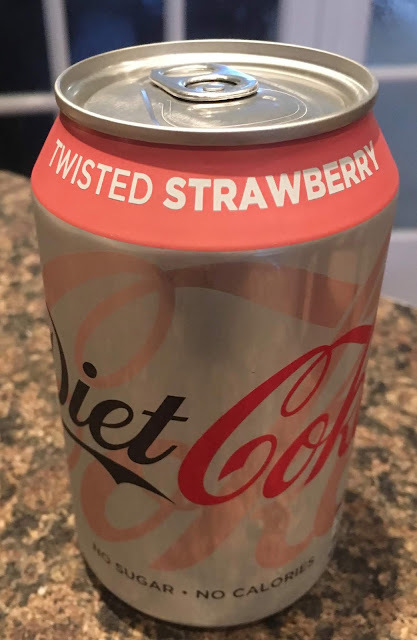 Having said that underneath the Santa Claus cola I am pleased to say I spotted this new drink; Twisted Strawberry Diet Coke. This is in the Diet Coke range, not the Coca Cola Zero range, although both are sugar free just with slightly different tastes to the base cola. Most new flavours seem to be coming out in some form of sugar free, presumably down to the sugar tax. The can is topped with a ring of pink to show off the new Twisted Strawberry flavour, but the can is still distinctively Diet Coke. I poured some into a glass, and gave it a sip. I think the strawberry was a much milder taste than I had expected, and milder than their other fruit flavours. The taste was nice though, the berry was present, and did linger in the aftertaste. It is a gentle version of a strawberry, perhaps not living up to the word “twisted” in the title, but nevertheless pleasant. I was pleased I bought so many. 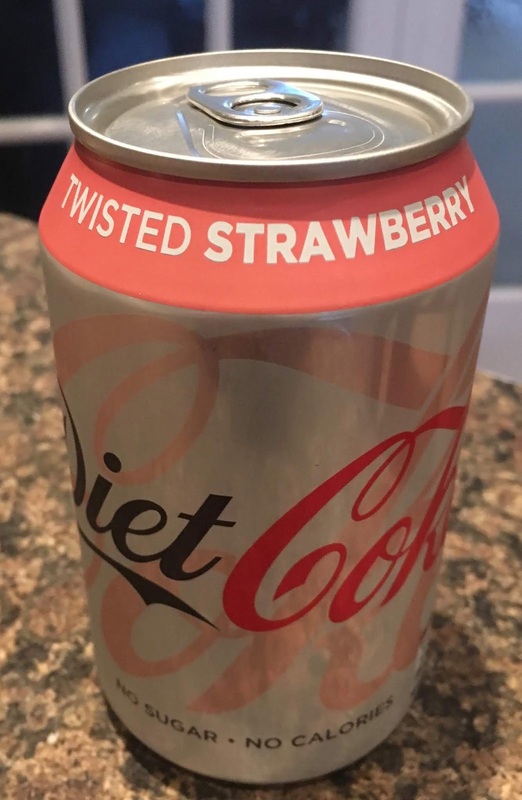 These Twisted Strawberry Diet Coke cans were sold in a multipack, and I picked up two packs as somebody has to help the Coca Cola stock move in my local Waitrose!